After being in Winchester Bay for nearly a week, it was time to move on and head to Portland. We’re really excited to see Portland and spend time there as it’s one of the top places on our list of locations we’re interested in moving to. We stopped for gas on the way out of town and were reminded that Oregon is a full-service gas station state. This means that you can’t pump your own gas. A gas station attendant has to pump the gas for you. We’re not crazy about this law as it’s awkward to have someone else pump gas for you when you’ve always done it yourself. 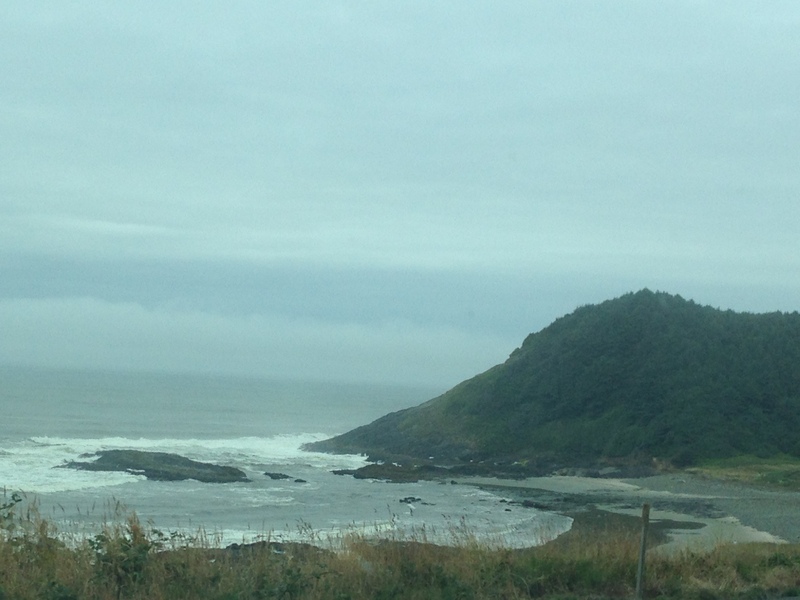 Once we got through the awkwardness at the gas station, we made our way up the gorgeous Oregon coast, which became more scenic the further north we drove. The forest literally met the ocean with wave after wave rolling onto the beach alongside the highway. I would have loved to have stopped at multiple points along the scenic coastal route! Alas though, that’s not an option when you’re towing a travel trailer. We passed the picturesque Heceta Head Lighthouse sitting on a green bluff with fog floating over it. However, I couldn’t get a good photo of the lighthouse or the coast while being a passenger and towing a trailer. As a passenger in a car heading north, I was on the wrong side of the road to get any picture-worthy shots. And with a travel trailer in tow, there’s nowhere to pull over on the east side of the road. Tragic. 😦 If you have an opportunity to stop and appreciate the Heceta Head Lighthouse off of the 101 highway between Florence and Yachats, OR, I highly recommend that you take it! Speaking of Yachats, I wish we could have spent some time there! We really enjoyed driving through the quaint, artsy sea village with its eclectic shops and roadside cottages. I think we would have enjoyed exploring the town more. 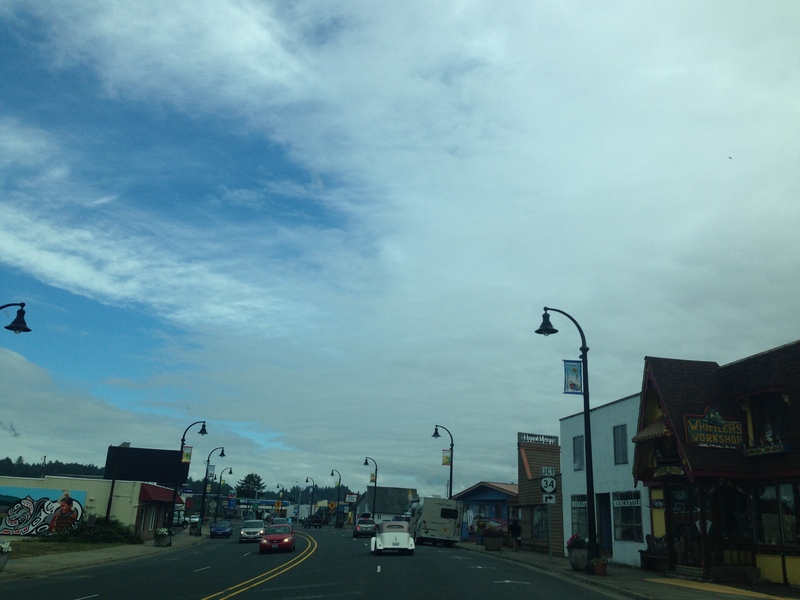 We also drove through some other coastal towns: Waldport, Newport and Depoe City. Yachats was our favorite though. Waldport was cute, and Depoe City seemed to be the most touristy. From there, we began heading inland and finally made it to Portland! I really liked my first impression of Portland with its downtown area nestled between tree-filled hills and the Willamette River and several impressive bridges connecting the city to its surrounding neighborhoods. Can’t wait to see more! Portland was calling to us, so we took today to explore the area. We started at NE Alberta Street where we stopped for a late breakfast at Pine State Biscuits, a Diners, Drive-Ins & Dives restaurant we’d been wanting to try. We walked up to the counter, placed our order and then found a picnic table on their outside patio. As we were enjoying the perfect weather and rustically modern setting of the restaurant, our biscuits arrived. Justin ordered The Mcisley, and I got The Reggie. I won’t lie, we were a little intimidated with how to go about eating the biscuit sandwiches, but eventually we just dove into them with a few “MmMmm’s” between mouth-fulls. The portions weren’t huge, but the biscuits were filling and the fixings were delicious! After we ate, we walked across the funky street to Salt & Straw, a gourmet farm-to-cone ice cream shop with a line out the door. We had previously seen that it had fabulous reviews online, and with Justin’s massive sweet tooth, we had to try it for dessert! We each got 2 scoops in a waffle cone. Our favorite flavors were the Almond Brittle with Salted Ganache and the Cinnamon Snickerdoodle with chunks of gooey snickerdoodle cookie in it. Absolutely devine! Next we headed downtown where we drove around for a little while getting familiar with the area. I have to admit, downtown Portland is a lot bigger than I thought it would be. It’s also not as granola-ey as I pictured, but it’s fun, hip and edgy, which I’m definitely feeling. From the downtown area, we made our way through the hilly streets of Uptown and ended up at the Pittock Mansion where we enjoyed an amazing view of the city and Mt. Hood in the background. As we headed back to our campground though, we hit major traffic. The congestion reminded me of one of the main reasons why we left Southern California, causing my appreciation for Portland to waiver. 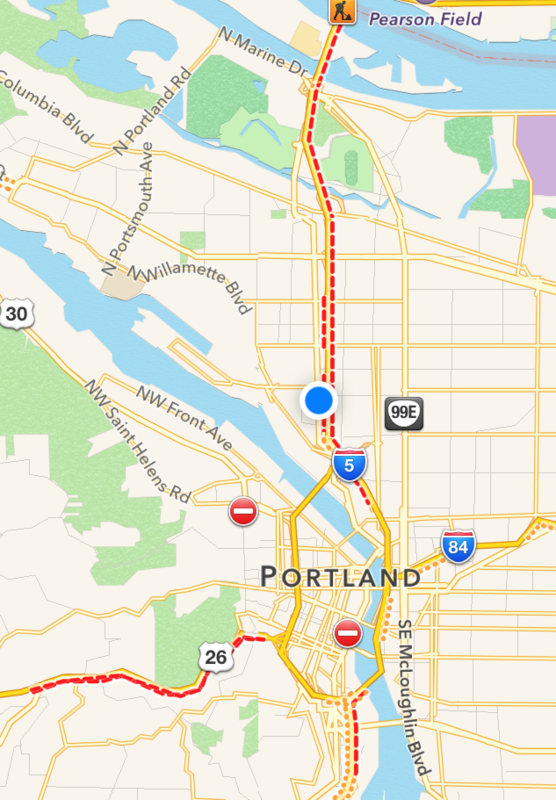 As much as I like Portland, is the traffic worth it? And if so, will I get just as frustrated with it in Portland as I did in LA, wanting to move again in a few years? These are things we have to think about when considering a city as a possibility for our next destination. Well, all this traveling has finally caught up with me. My back went out last night, forcing me to take it easy today. It worked out though because it rained on and off throughout the day. I feel somewhat guilty though for not leaving the campground or doing anything productive, but I have to remind myself that it’s okay to relax once in awhile on this trip. 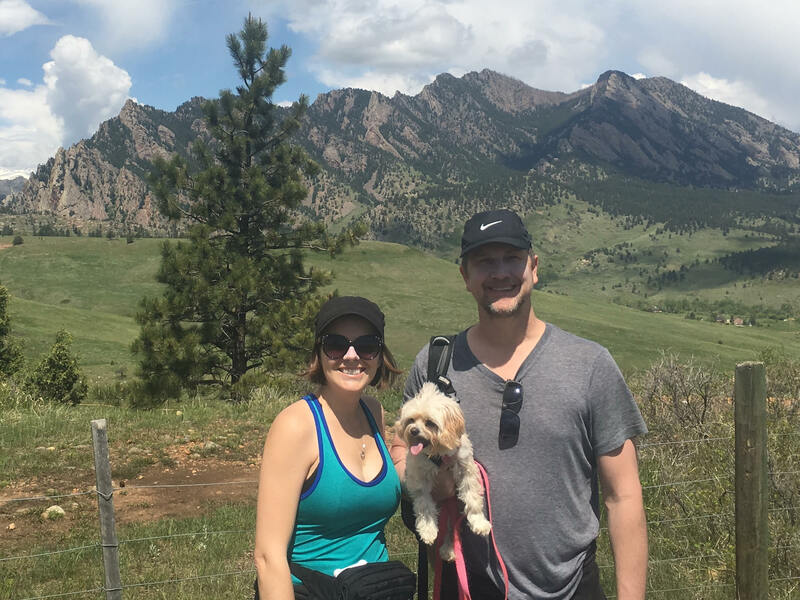 Even though the goal of it is to explore different areas and find the next place we’re going to live, it’s still about the experience, and I can’t enjoy anything if I’m in physical pain. Plus, this journey is like a full-time job, exhausting at times and extremely time-consuming. And when you have a full-time job, you need some days off now and then. Haha! You know me so well Philip!